Karen Horn is Chairman of the National Association of Corporate Directors, Chairman-elect of the National Bureau of Economic Research and Vice-Chairman of the US-Russia Foundation for Economic Development and the Rule of Law. She is a Director of Simon Property Group and a partner of Brock Capital Group. Former directorships include Eli Lilly and Company, Norfolk Southern Corporation, T. Rowe Price Mutual Funds, Georgia Pacific Corporation and the Rockefeller Foundation. 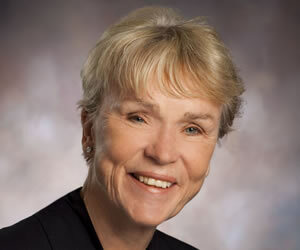 She is the former Chairman of the Board of Case Western Reserve University. Former positions include Head of International Private Banking for Bankers Trust; Chairman and CEO of Bank One, Cleveland; and President of the Federal Reserve Bank of Cleveland. She holds a Ph.D. in Economics from Johns Hopkins University.